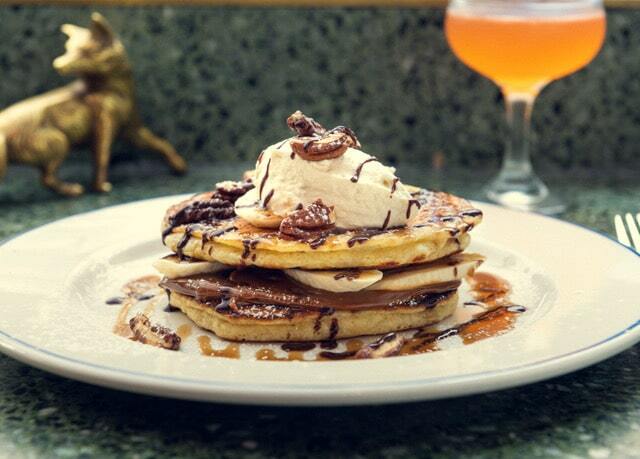 Here’s where to eat on Pancake Day in London. Ahh Pancake Day, the high holiday of breakfast foods. Falling on Tuesday, March 5th this year, London’s restaurants are stepping up to the plate with a range of delicious dishes to mark the occasion, and the excitement is really stacking up! Where are the pancakes? At Where The Pancakes Are. 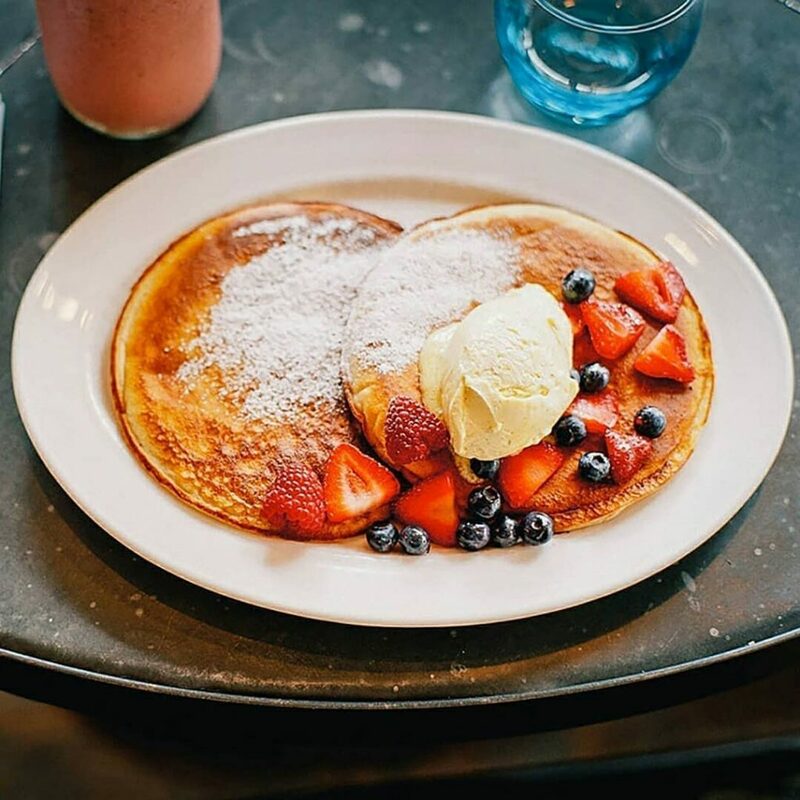 These guys dish up pancakes in Flat Iron Square all year round, and Shrove Tuesday is no exception, with a special pop-up menu joining the classic stacks for a proverbial pancake feast. 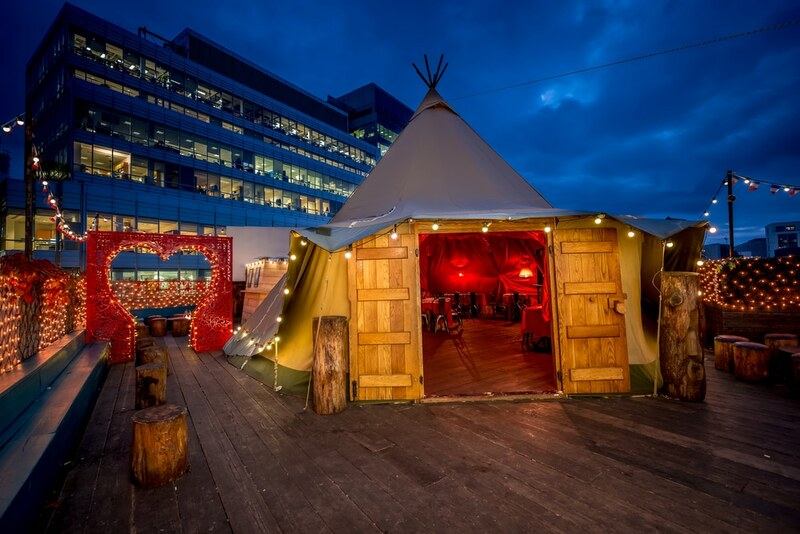 Still in winter mode, in the form of ravishing French speakeasy Lady Celeste, the Queen of Hoxton’s rooftop will serve red velvet pancakes this Tuesday, complete with servings of buttered rum or mulled port to wash ’em down. 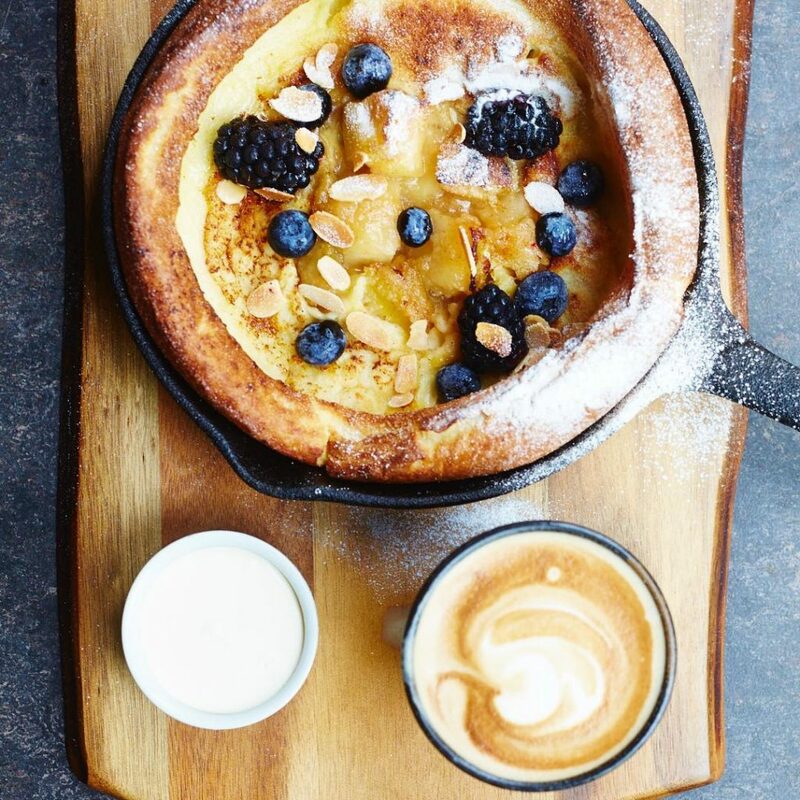 Quite aside from their excellent year-round Build Your Own Pancake menu, Christopher’s is a prime spot for your pancake feast. 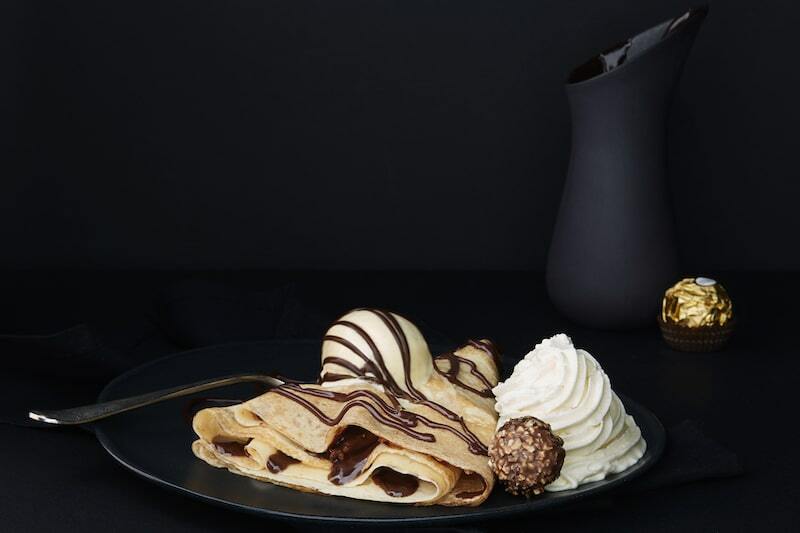 Savoury options include butter poached lobster, chorizo picante, and avruga caviar pancakes, whilst the sweet stuff comes in the form of a white chocolate and Oreo, vanilla marscapone, and honeycomb ice cream stack. 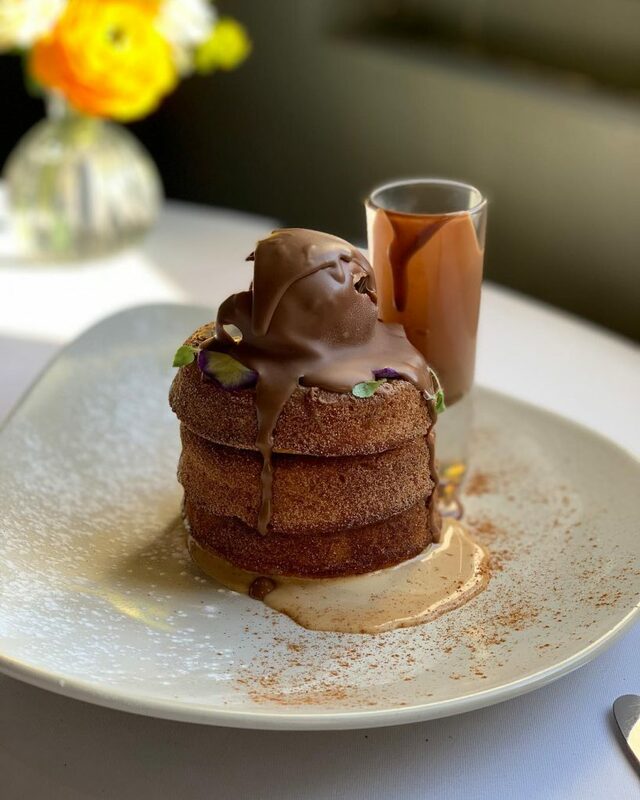 The most eye-catching option, however, is the cinnamon doughnut pancake stack with salted caramel ice cream. 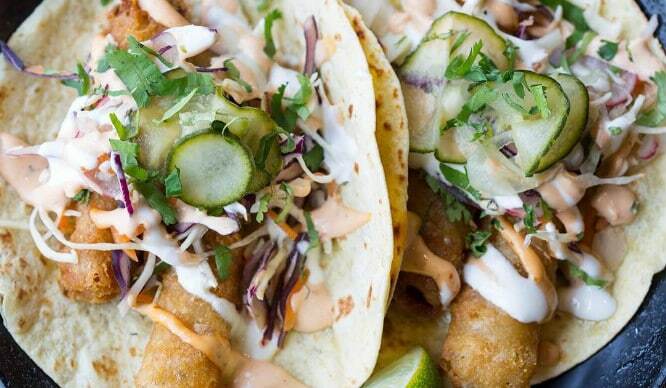 We’re not drooling, you’re drooling. So, ‘period pancakes’ are now officially A Thing. 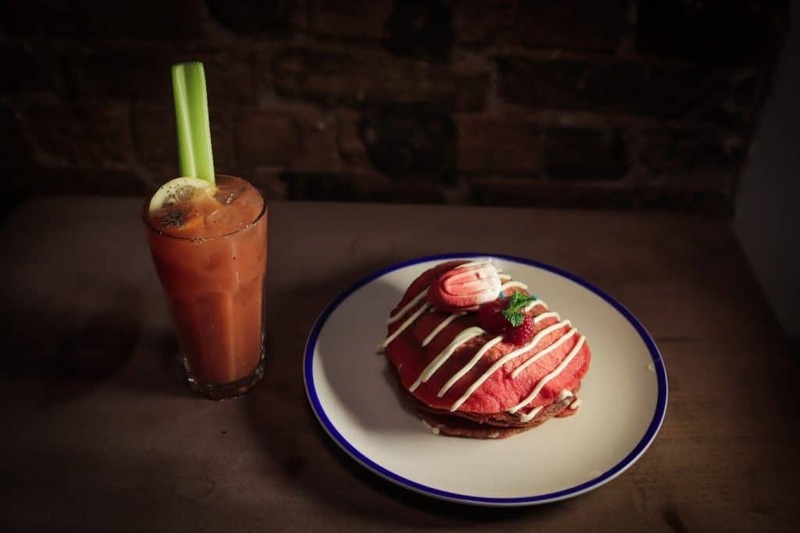 We won’t lose sight of the fact that it’s an inventive way to raise money for Bloody Big Brunch (a charity which seeks to end period poverty), by donating 15% of the profits from each dish. Still, you may not want to think too deeply whilst tucking into these red velvet pancakes, topped with a red-stained ‘tampon macaroon’. The inventiveness here comes not from the style of pancakes – although berries, syrup, and bacon is a fine combo – but from the quantity. Namely, as many as you can eat. They’ll keep coming until you beg them to stop, or until you’ve eaten an unseemly amount and they have to cut you off to stave off bankruptcy. 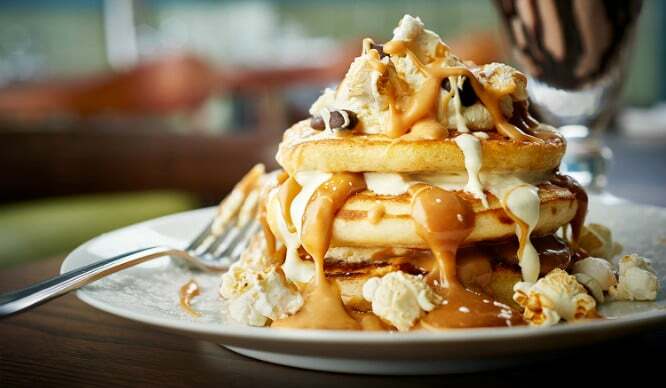 Like your pancakes boozy? 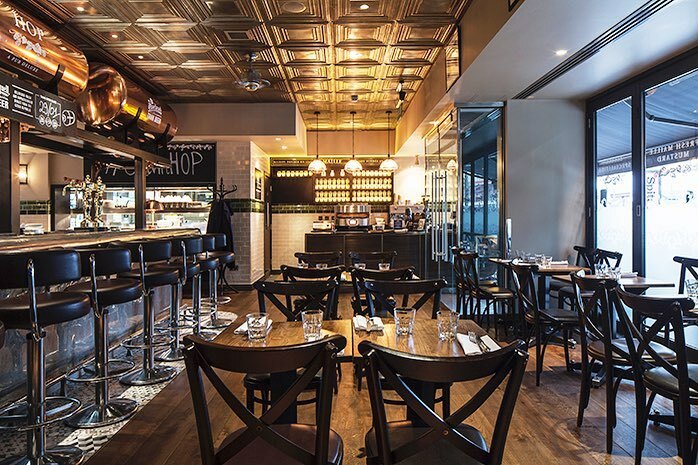 Step forward Foxlow, the great little chain from the Hawksmoor team. 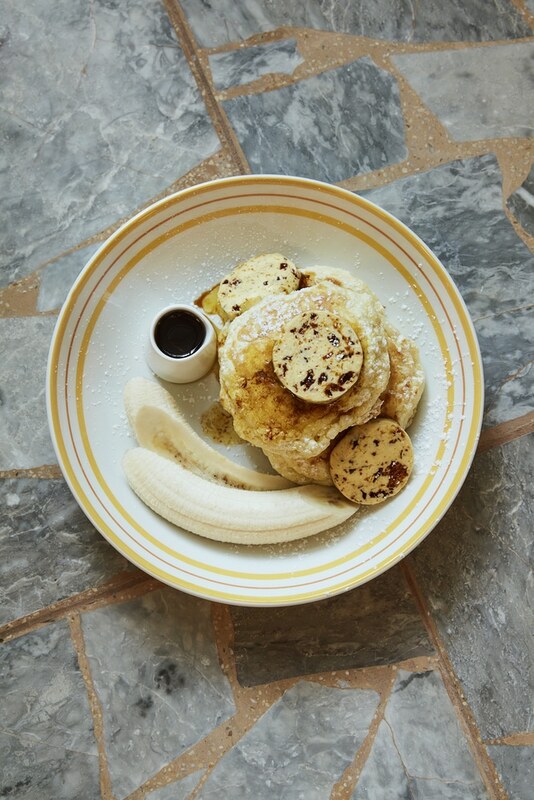 For Pancake Day 2019, they’ve created the Boubonoffee Pancake – two buttermilk pancakes, drenched in chocolate sauce and a bourbon toffee sauce, and topped with bananas, banana cream, and pecan praline. 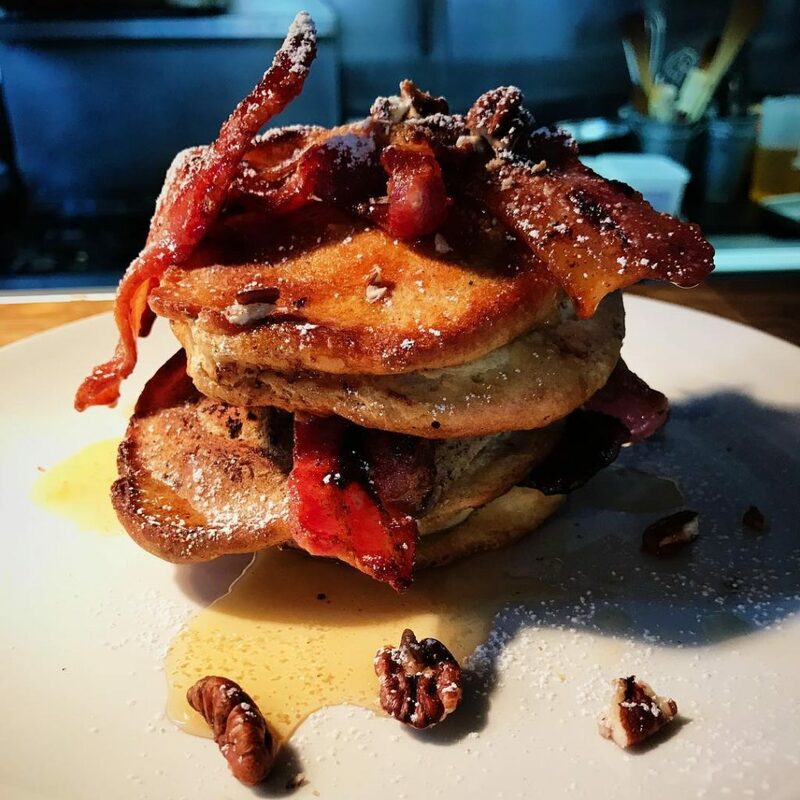 There’s a lovely charitable aspect too: on Shrove Tuesday, Foxlow will donate all the sales from the pancakes to Magic Breakfast, a charity which provides healthy breakfasts to vulnerable children. You know what you need to do! Controversially, Granger & Co insist on referring to them as “hotcakes”, but a pancake by any other name tastes just as delicious. Their ricotta hotcakes are whipped to peak fluffiness, and topped with honeycomb butter, sliced bananas, and a generous drizzle of maple syrup. Now that is what I call a hot cake! Vivacious vegan pancakes aren’t hard to find this year. 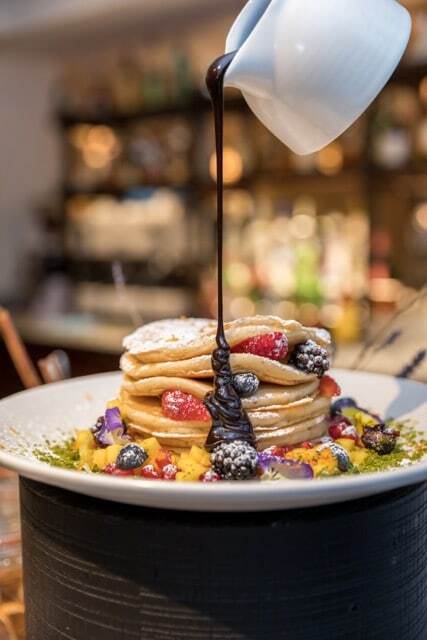 Mortimer House will serve up a stack drizzled with vegan chocolate syrup, flavoured with cinnamon and orange, and topped with a helping of fresh fruit. 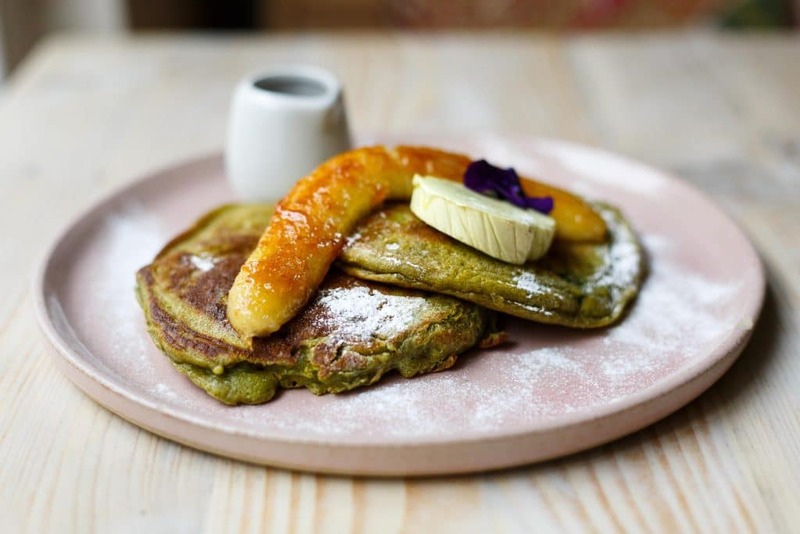 The mean green machine that is Covent Garden’s Avobar gets in on the pancake game, with a helping of green matcha pancakes. Topped with either caramelised bananas and maple syrup, or crispy bacon and fried egg, there is (unsurprisingly) an avocado twist on the format, with avo-butter garnishing both. Perhaps the most unusual menu this Pancake Day comes courtesy of fab Farringdon joint Ask For Janice. A five-strong offering includes savoury varieties with slow-braised pork shoulder, or crab, chilli, and lime – or you can opt for the more traditional route with whipped ricotta, blood orange, and pomegranate. 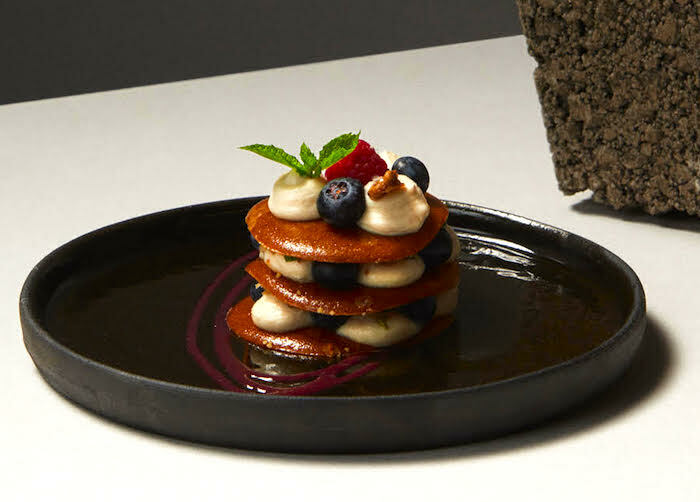 Meanwhile, vegans can dive into soy milk pancakes with blueberry jam, cocnut yoghurt, and mint. 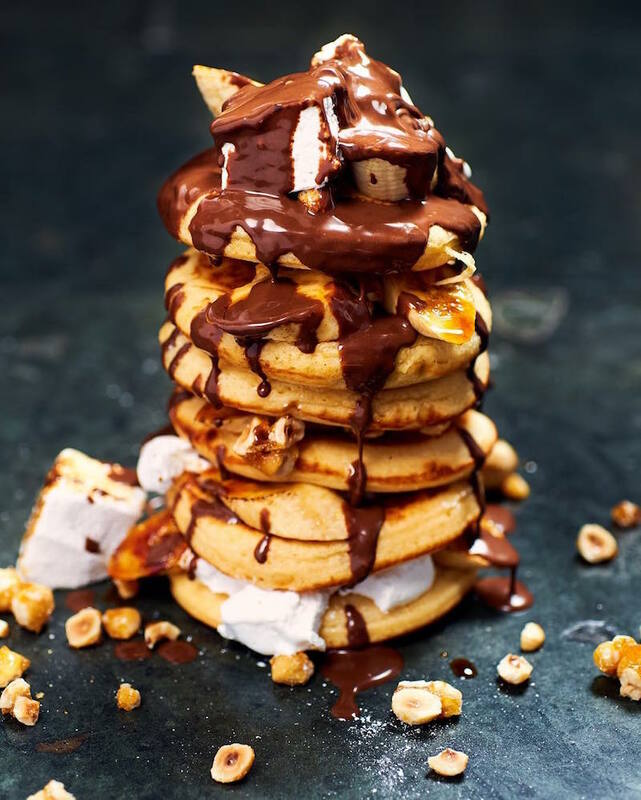 The Chelsea favourite has created a stack of pancakes with each layer filled with caramelised banana, hazelnut praline, toasted marshmallow and Valrhona chocolate sauce. Downstairs, Bluebird Cafe will be serving a pancake sandwich, filled with crispy bacon and fried egg. Doubling down on the pancake party, Scottish sensations Mac & Wild put a Highland spin on the dish. 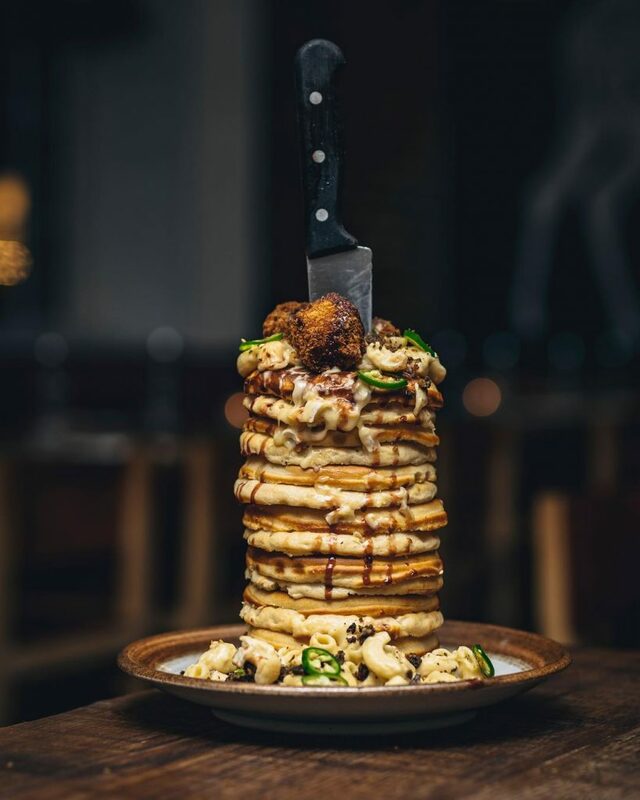 The gigantic Ben Haggis is a sixteen-pancake stack, covered in mac and cheese, crispy shallots, jalapeños, and deep-fried haggis pops – and if you can finish it alone, I’ll be seriously impressed! Meanwhile, The 8 Mac Stack forms dessert; eight pancakes topped with a deep-fried Mars Bar, whisky caramel sauce, and peanut butter drizzle. The heart attack is, of course, optional. It’s a battle of sweet versus even sweeter at Big Chill. The more traditional banana pancake stack goes up against the sugar coma-inducing Oreo pancake platter, which features copious amounts of whipped cream, hazelnut, and coffee & chocolate sauce. A permanent dish at this vegan spot in Shoreditch, Essence’s raw coconut banana pancakes are dressed with candied walnuts, a berry salad, and vanilla coconut cream. With six branches in London, head to these specialists for gluten-free and vegan “galettes” made with organic buckwheat flour, or luxury options like their Reese’s Pieces Peanut Butter Pie crepe or Ferrero Rocher crepe. Want even more pancakes? 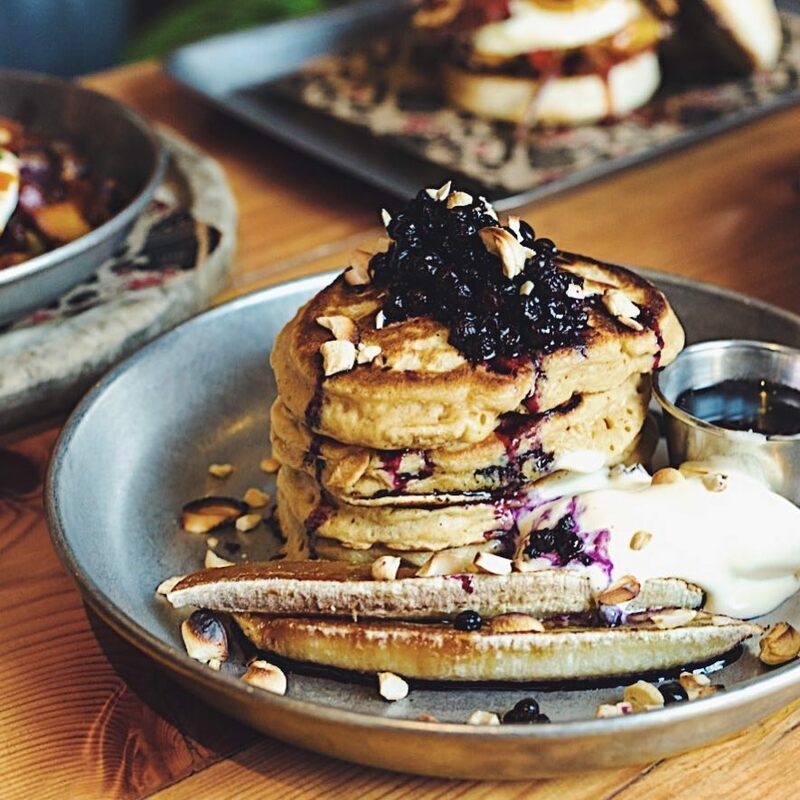 You can tackle London’s biggest pancake stack at Fever’s House Party and Bottomless Brunch! 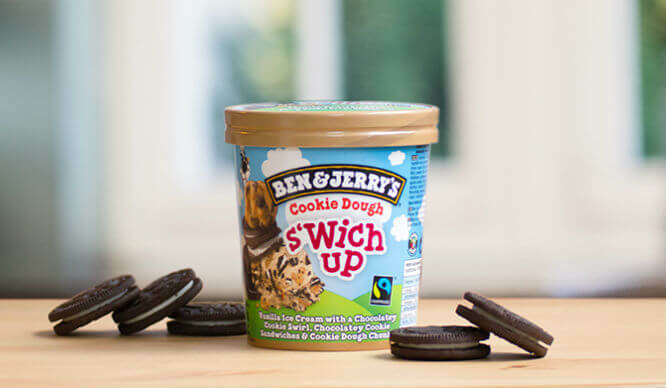 Find Out Where You Can Get Free Ben & Jerry’s In London This Summer!